I often scroll through my Instagram feed and find myself muttering to myself, if only my skin was that flawless. I, just like everyone else have insecurities and for me, my skin is one of those. Over the years I’ve gone from combination skin to sensitive skin and due to my bad diet, lack of sleep, hormones and generally not looking after my health, I have more breakouts than I did in my teens - crazy I know. I may not have severe acne, but my breakouts are enough to make me feel insecure and extremely conscious of my make-up free self. If you’ve watched my makeup videos, you’ll have realized I use full coverage foundations – and this is the reason why. Without cover, all I see is blemishes, spots, scarring and large clogged pores - my confidence literally plummets. I’m desperate to get out of this mental phase and to be happy with my skin – without cover. What I was missing in my skincare regime was some acne/pore controlling products. 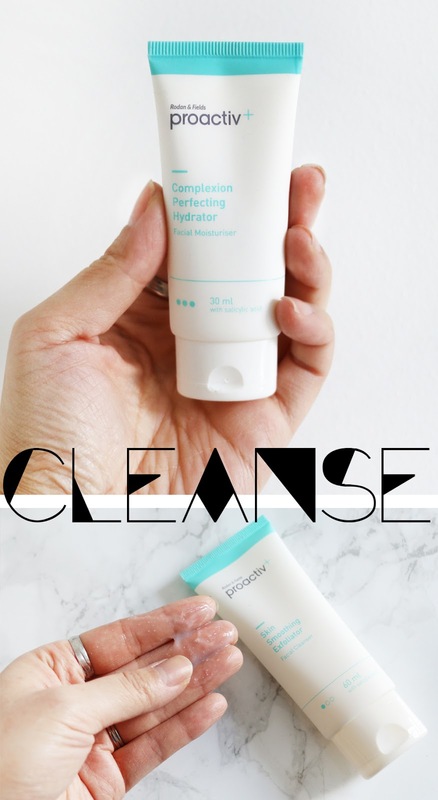 Every time I had a breakout, I never treated it, I carried on using my usual skincare hoping it will just go away – but the breakouts would always come back, weekly or fortnightly at the least. I never prevented it either which is my mistake. I sort of just let it happen - let my reflection eat my confidence away. Last month I decided to try some new skincare, to once and for all, control my skin. 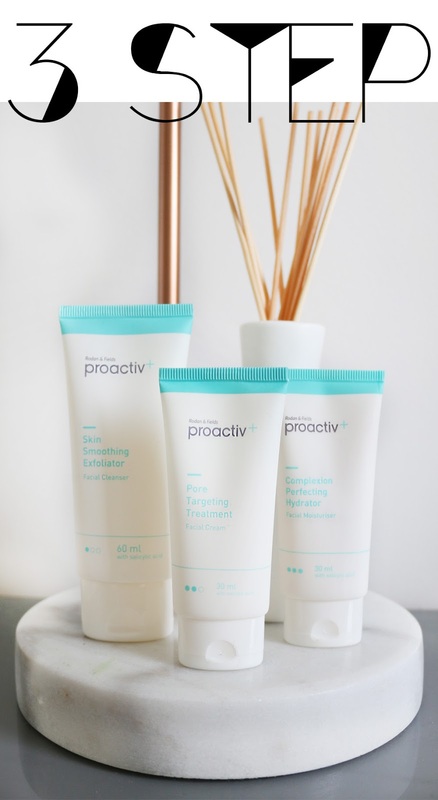 I had heard so much about Proactiv and was really curious about their products. I started by using the three-step system, which helps fights breakouts and prevent new ones from forming. They all contain salicylic acid that is a key ingredient for fighting spots. It’s an ingredient I always look for in spot fighting skincare. I start with the Skin Smoothing Exfoilator, this cleanses the skin and gently slugs away dry patches. 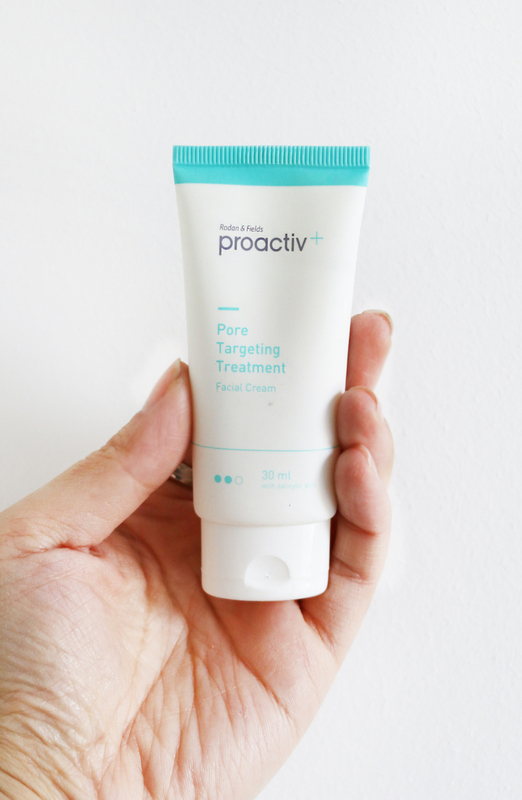 I was worried the particles would irritate my skin but they didn’t at all, they're so small and fine, I used a pea size amount and massaged it into my damp skin, the cleanser left my skin feeling really clean without that tight-dry feeling. I then go in with the Pore Targeting Treatment, mainly on my t-zone where my pores are largest and most visible. I apply a thin layer, a little goes a long way, it absorbs pretty quick and instantly, my skin feels smoother and more matte. It creates a perfect base for the next step in my skincare routine. I finish with the Complexion Perfecting Hydrator to keep my skin moisturized. It’s really light and absorbs quickly too which I love, it leaves my skin feeling comfortable and non-greasy at all which is a problem I usually have with other moisturizers. I do this twice a day, morning and evening. I’ve been using this for over 3 weeks now and so far, I’m pretty impressed. My breakout didn’t heal any faster, but it did control my skin. Another product I have been trying is the Mark Fading Pads. Because of my previous breakouts, I have several scars scattered all around my face. I used the pads for 5 consecutive days and although it didn’t make a massive difference, I could see it helped. It was still visible, but noticeably lighter which I thought was pretty good. I think they're great and better at treating fresh scars rather than old scars. It took around 2 weeks until I started to notice a difference. My skin wasn’t getting oily as quick and the breakouts around my hairline seemed to calm down. I’m annoyed at myself as to why I never used skincare dedicated for my breakouts, instead using general skincare and wishing my breakouts would subside. Overall I am very happy with my results, my skin seems to enjoy the range and it’s definitely going to be my go-to when my skin is in trouble.